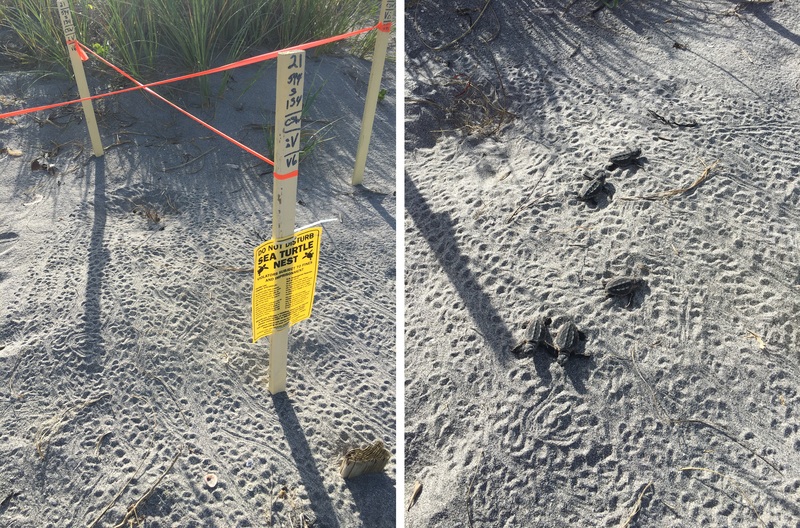 This is the 37th year that Mote’s Sea Turtle Conservation and Research Program has monitored nesting along 35 miles of beaches from Longboat Key to Venice, with Longboat Key Turtle Watch monitoring northern Longboat Key under Mote’s state permit. During more than three decades, staff, volunteers and interns have protected an estimated total of more than 2.4 million loggerhead, green and Kemp’s ridley sea turtle hatchlings. Shield or turn off outdoor lights that are visible on the beach from May through October — artificial lights visible from the beach can disorient and attract sea turtles, particularly hatchlings that should be crawling toward the water. Stack beach furniture at the dune line, or ideally, remove it from the beach. Approach nesting turtles or hatchlings, make noise, or shine lights at turtles. Use flashlights or fishing lamps on the beach. Encourage a turtle to move while nesting or pick up hatchlings that have emerged and are heading for the water. Use fireworks on the beach. On Longboat Key through Venice, beachgoers should wait until at least sunrise to set up furniture or equipment. This will allow any new turtle crawls and nests to be documented by Mote scientists. If you see turtle tracks not yet documented by Mote (documented tracks are crossed out with an "X" in the sand), please avoid placing furniture on them and call Mote's Turtle Patrol at 941-388-4331 to report their location. Tracks marked with small flags have been found by Mote volunteers but are awaiting documentation.